Automotive Locksmith Easton PA whenever you need to address an issue with your car key, door lock. or ignition lock. We are proud to serve Easton PA, as well as the surrounding areas. With this in mind, we also serve Wilson PA, Palmer Twp, and Fork Twp. In addition, we also serve Tatamy PA, and Martins Creek PA.
Auto locksmith services in Easton provided by us can give you peace of mind that your issue is taken care as soon as possible. 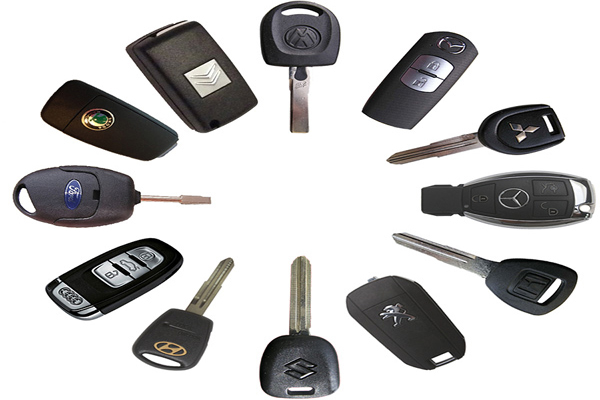 Generally speaking, a car locksmith services are usually emergency locksmith services. We believe, at the same time you want a fast emergency locksmith service, you also want a professional car locksmith service. Automotive locksmith Easton PA is available twenty-four hours a day, seven days a week. Car key and car lock issues vary from a residential & commercial key and lock issues. While there are pins inside a cylinder of commercial & residential locks, inside a cylinder of a car lock, there are wafers instead pins. Solving an issue with your car key means we need to work with advanced diagnostic machines, as well as electronic chips, key fobs, and more. 24/7 Car lockout service in Easton PA is only one phone call away. Up to the present time, we have been serving thousands of satisfied customers in Easton and the surrounding areas. In either case of car lockout or truck lockout in Easton PA, we can help. Perhaps, you’re asking yourself if we can open any car? Yes, of course! Car Lockout in Easton PA – When it comes to an emergency car lockout service, you need to act fast. In a few words, this is completely unpleasant to be locked out of your car in Easton. This is the reason why you want to deal with a reliable emergency locksmith who can get you back on the road as soon as possible. Semi-Truck Door Opening Easton PA – It doesn’t matter if you drive 20 feet long or 40 feet long semi-trailer, we can unlock your doors quickly. This is one of our expertise in the automotive locksmith industry. As you want to deal with the best locksmith company in Easton PA, LockTech24/7, you get the best locksmith services. Unlock Auto Trunk in Easton PA – When you need trunk lockout service in Easton PA, you need an experienced and skilled automotive locksmith. There are so many methods to unlock a trunk, yet, not all of them works. With some cars, in the final analysis, we may recommend cutting a valet key to your trunk. Unlock RV Door in Easton PA – If you are traveling in our region with your RV, you may know that we work 24/7 and ready to unlock your RV in a time of crisis. We hope you would enjoy your time with us, and we would be happy to unlock your RV wherever you are camping, right now. 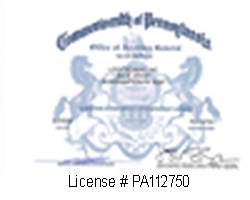 Professional Automotive locksmith Easton PA is on the way to you. LockTech24/7 is the name for you. Please call now! Lost car key replacement in Easton PA available 24 hours a day, 7 days a week. With this in mind, we can cut and program almost every car key, whether basic, transponder or laser cut key. Our mobile car key replacement service in Easton PA saves you a lot of time and money. You don’t need to tow your car, nor waste your time by searching hours for a mobile locksmith service. No matter what kind of car you drive. It also no matter if you drive a new car or a used car. In short, please call us for more information. Mobile Car Keys Made in Easton PA – We provide a mobile car key made services throughout the city of Easton PA. With this in mind, we’re able to cut and program a new key to your vehicle on site. This also includes laser cut car keys. Car Key Duplication in Easton PA – If you have one key in hand and you would like to make a spare car key, we can simply duplicate your original car key. This way is also cheaper than ordering the key code of your car. Electronic Chip Key (Transponder) Program in Easton PA – Most of the new cars today need a programmed transponder chip to the computer of the car. Unless the key is programmed to the computer of your vehicle, it won’t start your car. Proximity Key Fobs Programming in Eason PA | Programming a key fob to your vehicle can benefit you in two ways. The first way if the keyless entry features that you can click your way in the car with a key fob. The second way is to start the engine, in a case and you don’t have a key ignition in your vehicle, but a push-to-start ignition. Broken Automotive Key Removal in Easton PA – A broken key of your car can ruin your day. This is the case, especially if you are at the middle on the road, looking for help. With attention to the time, we come to you fast, wherever you’re located in the Easton greater area. When the ignition, all of a sudden, fails to turn, you find yourself stuck on the road. In addition, it may be very cold outside or late at night. If this is the case with you, right now, we can help. We repair and replace auto ignition locks of all type of cars, brands, and models. Furthermore, after replacing your ignition, we can cut and program a new key to your car. Please call us when you need to repair your car ignition lock in the Easton area. Automotive locksmith Easton PA is here for you. We’re open twenty-four hours a day, seven days a week.